The decades-long civil war that had erupted in 1991, has made Somalia one of the still most heavily mined countries in the world. Entire regions were devastated, approximately one million mines were laid „wildly“. These mines were and continue to be a great danger for the population. They prevent the repatriation of civil war refugees and every attempt of the inhabitants to support themselves or regain autonomy is doomed to failure. Particularly hard hit is the northwest of the Republic of Somaliland. In addition to intensive mine contamination of villages and towns, farmland is also affected to a great extent. 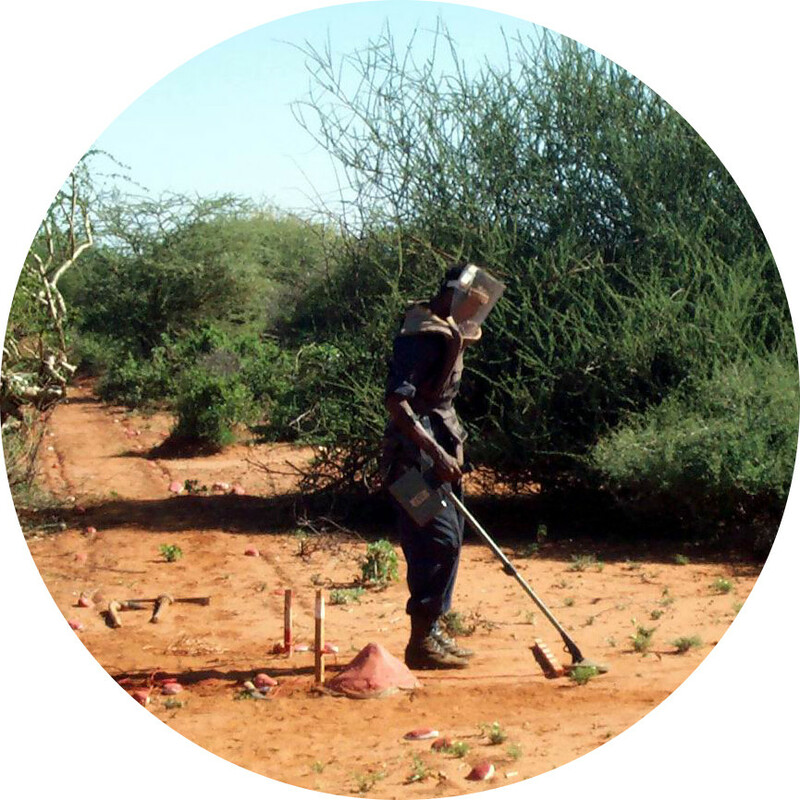 St Barbara Foundation implemented mine action projects in Somaliland, in the regions Galbeed and Togdheer, for 4 years. Primary objective was the clearance of residential areas and farmland. Beside international personnel more than 50 local forces were trained and deployed and thereby able to secure their families‘ livelihood. Due to Somaliland’s hilly terrain detecting and clearing mines is extremely difficult and therefore also very labour- and time-intensive. Searching with metal detectors has proven quite difficult, as not only to the soil circumstances caused by scrapping und magnetically active minerals make the use of such devices nearly impossible, but also the fact that in Somaliland so-called “Minimum Metal Mines” were often deployed, mines whose metal content tends towards zero. Even with the most modern detectors they can hardly be traced. For this reason the clearing teams were constantly aided by mine seeking dogs. As part of the projects more than 2,250 adults and children in and around Burao in the region Toghdeer were educated on the dangers of explosive remnants of war and corresponding behaviours. The fact that the St Barbara Foundation in Somaliland carried out this work and could thus allow the return of refugees and the restoration of normal living conditions, was made possible mainly through the financial support of the Federal Republic of Germany and the European Commission.